Remembering the Battle of Arras: First Battle of the Scarpe 9-14 April 1917. Having just returned from three days in Arras where I gave a lecture at the Carrière Wellington about the Battle of Arras (April-May 1917) I am heartened by the increase in interest shown in the spring offensive. There is even a plan to tweet updates from the battle which should appeal to those using social media. I thought it a good opportunity to write a short article on the first stage of the battle – the First Battle of the Scarpe which ran from 9 – 14 April 1917. If time and work permits I will do the same for the Second (23/24 April) and Third (3 May) Battles of the Scarpe. The view from the British trenches at Roclincourt. 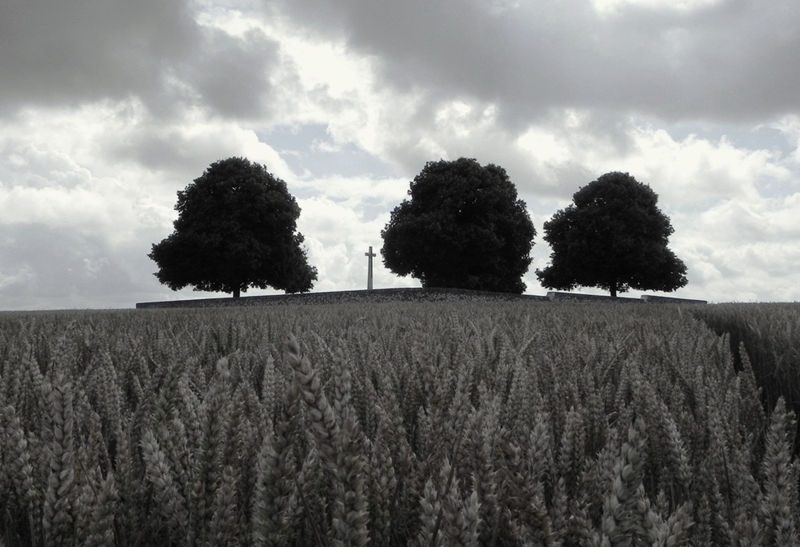 Highland Cemetery now sits on the position of the German front line. 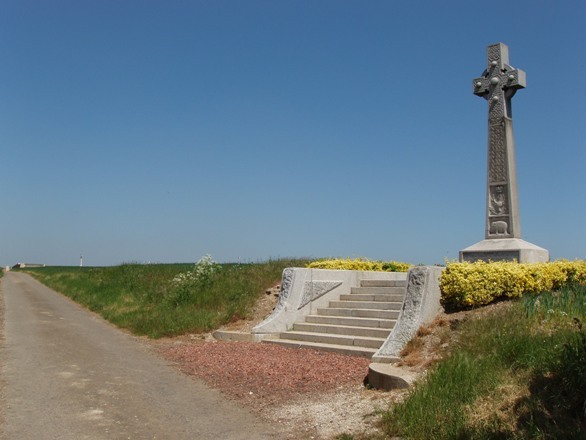 The line was assaulted on the morning of 9 April 1917 by units from the 51st (Highland) Division. Easter Monday, 9 April 1917 was a momentous day which saw the start of the Battle of Arras. It is best known in Canada for the attack and capture by all four Canadian Divisions (operating together as the Canadian Corps) of the previously unconquered heights of Vimy Ridge. It must be remembered that this action, whilst quite rightly lauded was undertaken to protect the northern flank of the main Arras battle front. Sadly, and almost inexplicably the main effort by troops of General Sir Edmund Allenby’s Third Army have been largely neglected by historians, television documentary producers and British battlefield visitors who all head north to Flanders and the blood-soaked fields around Ypres or south to the Somme. I cannot understand this omission as to me, Arras is the most interesting battle of the war offering a major element in the evolution of warfare. By the end of the offensive I would argue that, to many, the prospect of a final victory almost disappears from the Allies’ view. The British attacks at Arras were part of a larger Anglo-French offensive planned for spring 1917. The author of this scheme was General Robert Nivelle, commander-in-chief of the French armies on the Western Front, who proposed three separate attacks. Two of these astride the Rivers Aisne and Oise would be French led. Great Britain, as the junior partner in the alliance was to launch a major diversionary attack in the north around Arras. It was not what Sir Douglas Haig, commander-in-chief of the British forces wanted, but faced with such a huge French effort there was no other choice but to accept. The German retreat to the pre-prepared positions of the Hindenburg Line (Siegfried Stellung) rendered the attack on the Oise redundant. However, the major offensive on the Aisne and the British diversion at Arras would still go ahead as planned. Easter Monday, 9 April 1917 was, in the main, a great success for the attacking British and Canadian forces. Despite the unseasonal sleet, snow and severe cold the Canadian Corps captured the vast majority of Vimy Ridge and British advances to the south were also impressive. An advance of over three and a half miles was achieved by the 9th (Scottish) Division and the ‘leapfrogging’ 4th Division who captured the village of Fampoux. This advance was the longest made in a single day by any belligerent from static trenches. An extract from XVII Corps battle plan showing objectives for the 34th Division including the Point du Jour. Ref: WO153/225. Copyright National Archives & reproduced with their permission. South of the river attacking British divisions also fared well with Observation Ridge and Battery Valley captured. However, the planned capture of the village of Monchy-le-Preux on its hilltop plateau and Guémappe were not realised. 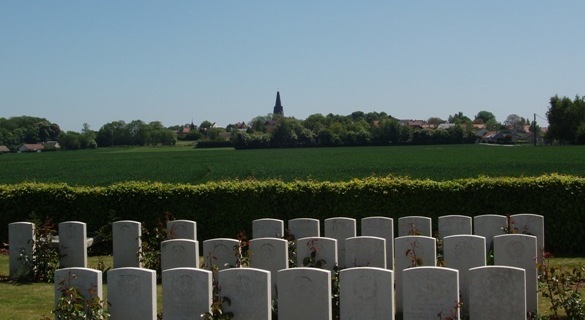 Moving south of the Arras-Cambrai road the successful capture of The Harp and Telegraph Hill can also be viewed as particular triumphs. 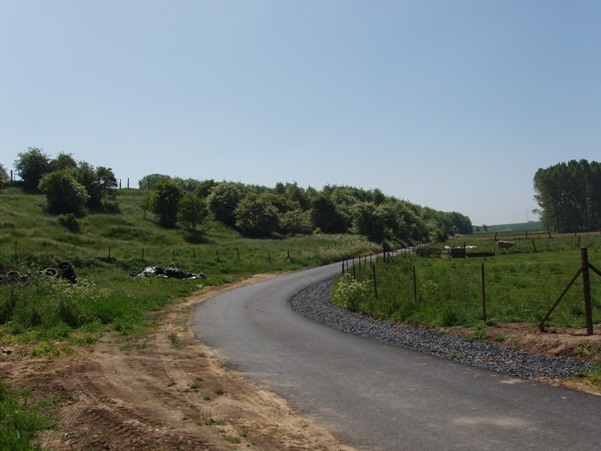 However, south of the Roman road the British were now attacking the newly constructed Siegfried Stellung (known to the British as the Hindenburg Line). The intelligent siting and design of the Hindenburg Line, coupled with the inability of British artillery to destroy barbed wire sufficiently made the attacks in the south a costlier and much more difficult task. Neuville Vitasse was captured but the two divisions to the south of the village suffered grievously in their attacks. The night of 9 April saw Germany’s fate in the balance. If British success could be exploited then it was very possible a potentially disastrous breach in their line could lead to a full-scale German retreat. Sadly, for the British, the success of 9 April was the zenith of their action at Arras. Disorganization, breakdown of communications, dreadful weather and the perennial problem of moving the artillery forward over heavily bombarded ground resulted in little concentrated action taking place on 10 April. This delay was exactly what the Germans needed – time to reorganize and strengthen their defences. The next day, 11 April was a pivotal day of fighting. General Sir Hubert Gough’s Fifth Army attacked in the south at Bullecourt. The hastily constructed plan has been to use tanks of the Heavy Branch Machine Gun Corps to crush the thick belts of barbed wire protecting the Hindenburg Line. When these failed to arrive on time Australian troops broke through the wire, fighting their way into the Hindenburg Line. 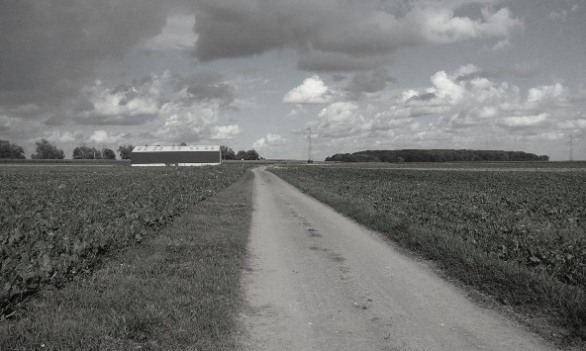 By midday they were faced with the Germans closing in on them on three sides and were forced to retreat across No Man’s Land to their own line. Over 2,000 men were taken prisoner – the largest number of Australians captured in the war. The day also saw the capture of Monchy-le-Preux by the infantry of the 15th and 37th Divisions, aided by six tanks. The capture of the village was an unbelievable feat of arms. Astonishingly, many of the attackers had lain out in the cold and snow for two days and it is a credit to their training and the fighting determination of the British Army that their attacks were pressed with such resilience. Despite the undoubted success of the infantry it is the the fate of the cavalry that Monchy has become synonymous with. With the village captured the cavalry were to advance east to the Green Line. However, they were forced back into the village by German machine gun fire where they were subjected to a ‘box barrage’ of artillery. Unable to escape, the narrow streets were clogged with horses and cavalrymen. The latter dismounted; seeking refuge in cellars but the horses could do nothing and were killed in great numbers as shells rained down. The streets of Monchy, full of horse carcasses and the foul residue of high explosive shells and animals are said to have run with blood. An ominous taste of things for the future conduct of the battle to come was the attack by the 4th Division on the Green Line from Fampoux. At midday the 2nd Seaforth Highlanders and 1st Royal Irish Fusiliers attacked from the sunken lane between Fampoux and Gavrelle . They were spotted whilst forming up by the enemy in Roeux and on the railway embankment and subjected to shellfire. At zero hour, as they advanced over a kilometre of open ground behind a feeble artillery barrage they were hit by heavy machine gun fire from the railway embankment and Chemical Works. The Seaforths attacked with 12 officers and 420 men and suffered casualties of all 12 officers and 363 men. Only 57 men survived this attack unwounded. This action and the casualties from other battalions of Seaforths are commemorated with the Seaforths Cross at Fampoux. Subsequent attacks were similarly costly. Roeux was fast earning a reputation as a fortress village. British attacks were badly planned and not supported by sufficient artillery fire whilst German defences grew in strength. 13 April was a day for fresh troops to take the field in order to carry on the attack. Exhausted and frozen men trudged back to Arras, replaced by units at full strength. By now it was almost definitely too late for the breakthrough that had appeared so possible on the evening of 9 April. An attack was planned from the precarious Monchy salient. Just two battalions of men would attack up Hill 100 (named Infantry Hill by the British). Conditions were so bad in the village with the detritus from horse carcasses blocking the narrow roads that the attack was postponed until 5.30 a.m. on 14 April. The plan was to capture Infantry Hill and send out patrols into the Bois du Sart and Bois du Vert to check for enemy. In hindsight this badly planned attack appears highly dangerous, almost suicidal. The Monchy salient was already surrounded on three sides by enemy forces. The attack, carried out by the 1st Essex Regiment and Newfoundland Regiment went in as prescribed. It started well and by 7.00 a.m. it was reported that Infantry Hill had been captured. However, in their first proper use of the new defensive employment of ‘elastic defence’ a German counter attack was delivered with such speed and precision that over 1000 Essex and Newfoundlanders were killed, wounded or taken prisoner. Monchy had been left undefended and was now at the mercy of advancing Germans troops. The situation was only saved by the commander of the Newfoundland Regiment, Colonel James Forbes Robertson who, with eight other men opened rifle fire from the edge of the village. For five hours their fire held back the enemy until fresh troops reached them. These men, known as the ‘Men who saved Monchy’ were all decorated for this action. It is not the purpose of this brief article to mention every stage of the fighting but to merely pick out some of the more well-known points. Fighting continued on the Wancourt Ridge with the British capture of the remains of Wancourt Tower. Bitter fighting also continued in the Hindenburg Line; the most well-known casualty from these actions was war poet and officer on the 2nd Royal Welsh Fusiliers, Siegfried Sassoon who was wounded on 16 April. With limited piecemeal actions achieving little Sir Douglas Haig now took control, halting these costly and morale damaging attacks until a combined offensive could be made. This decision marked the end of the first stage of the Arras fighting – the end of the First Battle of the Scarpe. It was now the turn of General Nivelle to launch his attack on the Aisne. After regrouping and with a marked improvement in weather the British attacked again on 23 April – the Second Battle of the Scarpe. So, on 9 April 2012, ninety-five years after the whistles blew and attack commenced I will be raising a glass to the memory of the men of all nationalities who fought in the battle. Their sacrifice, perseverance and resolution to finish the job are astonishing. My respect grows for them daily. It is up to all of us to ensure that their efforts are not forgotten. Should you be interested in the Battle of Arras then the book that Peter Barton and I produced, ‘Arras: The Spring 1917 Offensive including Vimy Ridge and Bullecourt’ is still available. I would urge anyone to visit Arras as it is a lovely town with good hotels and restaurants and only an hour’s drive from Calais. 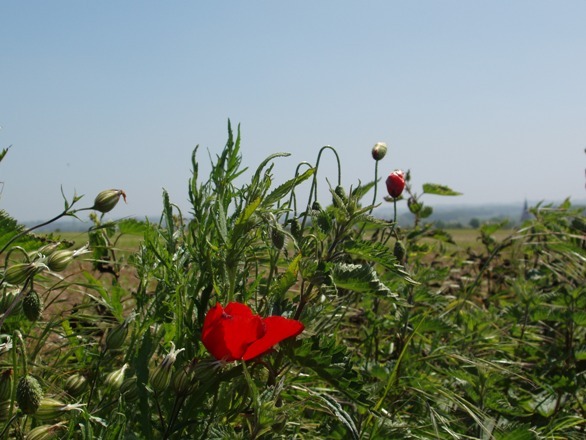 The battlefields are quiet and are immensely rewarding to visit. If you have a relative who fought in the battle or are looking for a guide to show you then please contact me. I would be delighted to help.